Practically everyone knows about Wi-Fi at this point. If you have a smartphone, you automatically know about it or have one at your home or office. Well, sometimes, even if you have a WiFi router at your home for your mobile devices, your computers might not come with a Wi-Fi chip installed. This can be quite troubling as users will have to use a standard ethernet cable to connect to the internet. Well, worry not, as there are some easy workarounds for this. 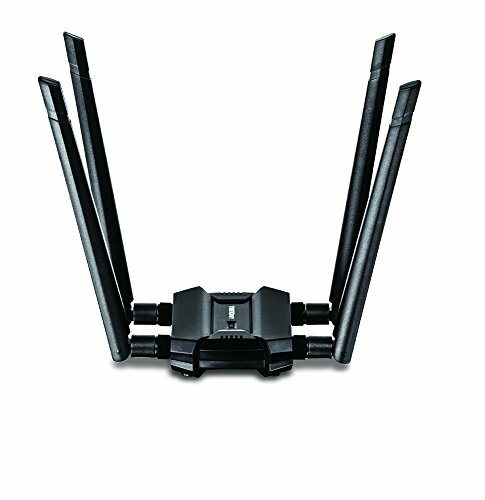 We’re going to talk about some Wi-Fi adapters, which when added to the computers, can make them fully capable of receiving Wi-Fi signals. Naturally, these are USB based, so practically any computer on the planet will support these adapters. Some prominent brands are featured on this list, but we’ve made sure to include some lesser known brands as well. These adapters are not small, so you might have to sacrifice the appearance of your notebook or laptop in order to use this. Be sure to check it out from the list below. Coming up as number one on our countdown, we’re looking at EDUP’s own WiFi Adapter. Powered over USB, plug this into your laptop or computer, and you’ll instantly be given wireless access. And we do mean instant — there aren’t any drivers that you have to install with this adapter, as they’re installed and setup automatically in Windows. On the latest 5GHz bands, you’re looking at getting download speeds of around 600Mbps, but if you’re running on a 2.4GHz network, you’re looking at much slower speeds — a meager 150Mbps. This WiFi USB adapter actually supports Macintosh-based machines as well. As we mentioned already, many of the adapters on our list take up a substantial amount of space; however, if you’re looking for something that’s low profile and out of the way, you’ll definitely want to take a look at this one from TP Link. It’s actually the size of a mini Bluetooth receiver that would come with a mouse or keyboard! With a smaller size, you do get slightly worse hardware; however, the TP Link is still able to bring down some decent download speeds, depending on your wireless network. It supports 2.4GHz networks or lower, giving you speed possibilities of up to 150Mbps. Now, what does set it apart from the rest on our list is that it comes with a two-year warranty. Run into a problem a year down the line? No problem at all! TP Link will ship you out a new one, hassle free. Next up, we have something significantly larger than the TP Link — the AE1200 Wireless N adapter from Linksys. It’s definitely not a small dongle like the TP Link, but it does have a pretty sleek and modern look to it. It has a blue LED light that flashes when the wireless adapter is working. This one doesn’t require any drivers either. Plug it into your Windows or Mac machine, and the drivers are either already there, or automatically downloaded and setup for you. The nice thing about this one is that it is a high speed adapter, giving you potentials of up to 300Mbps. This is a robust USB adapter meant for PC and other desktops. Although it was launched in 2014, it has remained a fan favorite, thanks to the combination of price and backward compatibility. It can turn an older computer brand new by offering 300 Mbps browsing speeds. But on the other hand, if your internet provider doesn’t offer you the snappy speeds, customers can also access the old 2.4 GHz connection (802.11g), so your covered regardless of the internet speed you have. But since it’s 2018, let’s just hope that you have a modern internet connection at your home. This particular Wi-Fi adapter supports a wide range of operating systems, including macOS, Windows, Ubuntu, and the likes. If you need driver manuals for any particular operating system, the company makes them available on its website. It can work with any 802.11 g/n routers, with a maximum speed of 300 Mbps. Further, it can run in both infrastructure and ad-hoc modes, with the former being the preferred form of connectivity for personal use. This tiny Wi-Fi adapter will only set you back by $14.99. For its portability and the speeds it offers, the price seems extremely reasonable. This is a highly rated Wi-Fi adapter winning over critics and users alike. The company takes a lot of pride in its quality, and is perhaps the only company out there to offer lifetime warranty for this particular product. 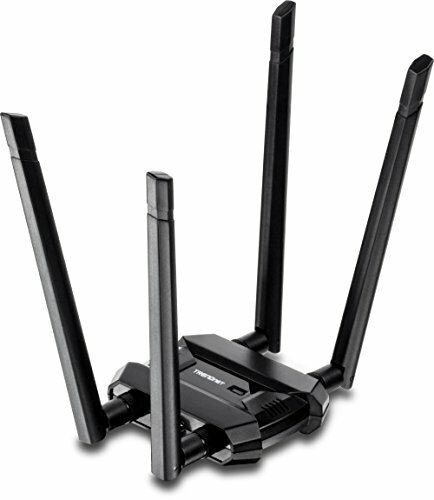 The AC1200 supports WPA/WPA2/WEP modes, which is a prerequisite for any Wi-Fi receiver. 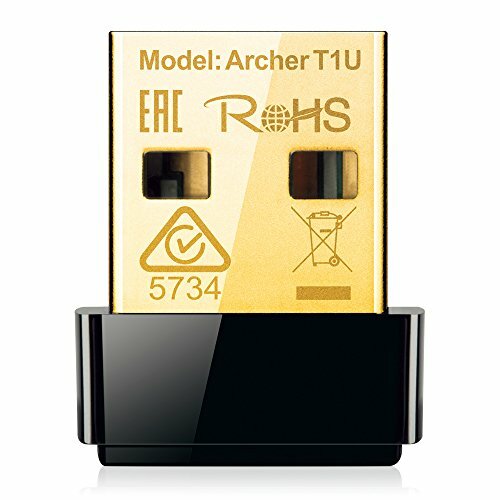 It supports both 2.4 GHz and 5 GHz bands, offering up theoretical speeds of over 867 Mbps. This fact alone makes it an exciting proposition for several buyers out there. The company claims that it can offer coverage of 100 yards, so even if the router is located at a distance, the AC1200 should be able to catch its signals comfortably. One concern for many users with Wi-Fi adapters is network interference. 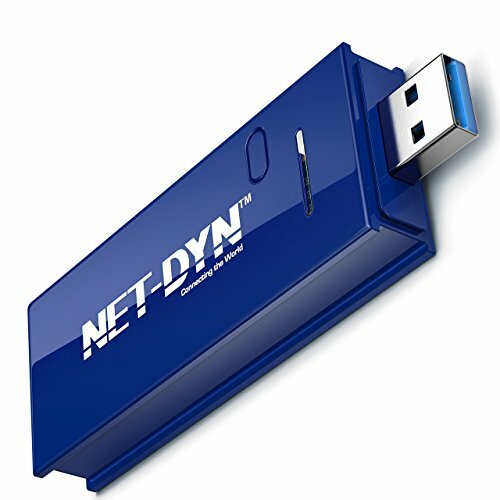 However, NET-DYN claims that no such issues will be found with the AC1200, allowing you to use your phone or access Bluetooth without any drops or other issues. One caveat here is that while the adapter works with most Windows computers, it cannot work with macOS Sierra operating system. However, older versions of macOS should work just fine. You will have to install drivers from the CD provided by the manufacturer. That being said, the setup shouldn’t take more than 5 minutes, and you should be ready to access the internet in no time. The AC1200 will set you back by $44.87 on Amazon. ASUS is definitely no stranger to making network equipment. While the Taiwanese maker has a bunch of routers in the market, it also makes Wi-Fi adapters to go along with it. 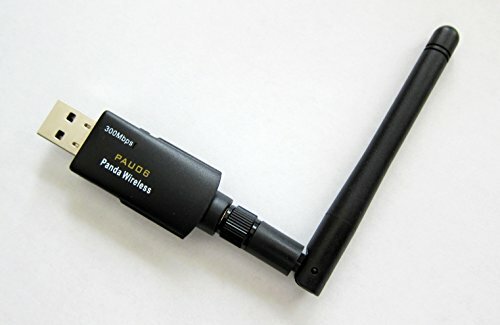 If you’re not satisfied with the built-in Wi-Fi adapter on your laptop or computer, getting this is could be a wise choice. Using this will convert your notebook/PC into an AC1900 supporting network. 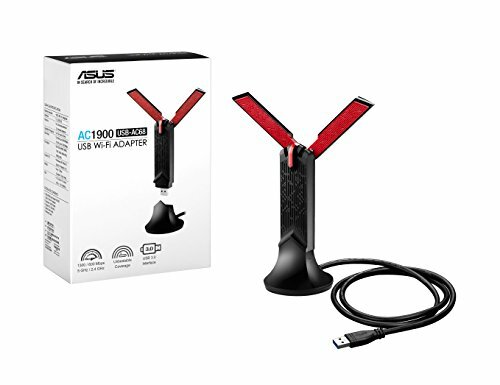 the design of the adapter is quite interesting, as it has dual internal antennas and dual internal antennas combined with ASUS’ AiRadar beamforming technology. Further, it comes with a cradle like hardware meant to extend the connection for some desktops. This can be handy if the USB port on your computer is located towards the back. For laptops, however, it is recommended to plug in the device normally. The company promises that this increases Wi-Fi speeds by up to 300% compared to older gen N900 adapters, which is surely promising. This neat little adapter will cost you $75.94, so it’s not the cheapest out there. This offering from TP-Link can offer speeds of up to 433 Mbps. It makes use of 802.11 a/c, meaning it’s incredibly fast from the get go. Plugging it in and using it is incredibly easy and shouldn’t take too much time. The design is also somewhat peculiar, as the company has gone with a tiny exterior. This means it can be easily lost if you’re not careful. It only transmits signals on the 5 GHz bands, which is necessary to avoid interference from other networks. The TP-Link Archer will cost you only $16.99, making it an incredibly attractive offering. This looks like something out of a sci-fi movie and works pretty much the same way. In terms of browsing speeds, it offers 1300 Mbps Wi-Fi a/c or 600 Mbps Wi-Fi n by default, allowing you to stream ultra HD content without missing a second. Some users have had some minor complaints with this device, but the ratings overall have been pretty favorable by the users. It won’t come cheap, however as the company is asking you to shell out $78.99 for this product. The company also has AC1200 routers with a cheaper price which is worth checking out if you don’t need a high-speed connection at your disposal. In addition to Windows PCs, the Trendnet AC1900 also works with macOS devices, so practically anybody with a computer can use it.